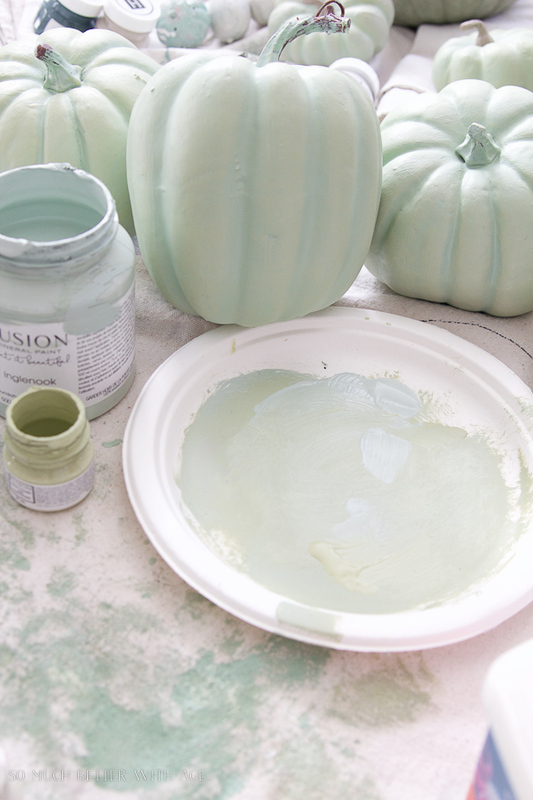 This is my tutorial on DIY heirloom plastic pumpkin painting. I have never painted so many pumpkins before in my life! I tried numerous color combinations to find the right color match and I finally achieved it. 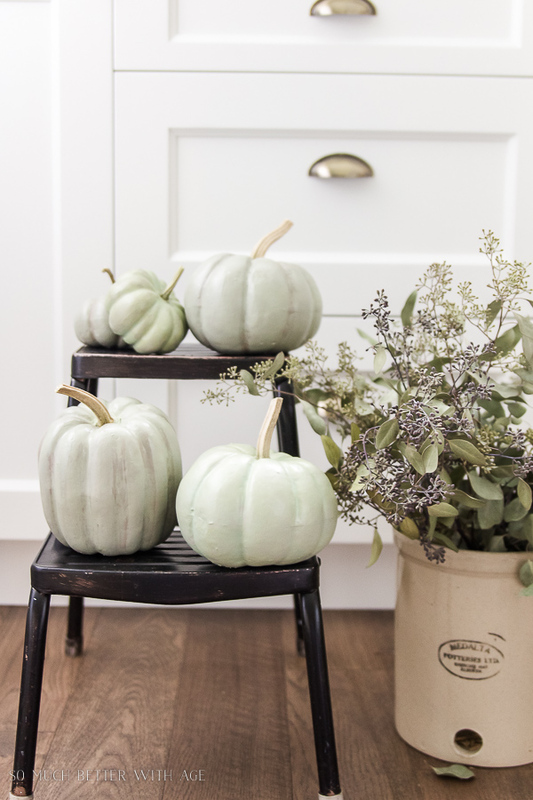 Get the directions on how to paint your own heirloom pumpkins below. 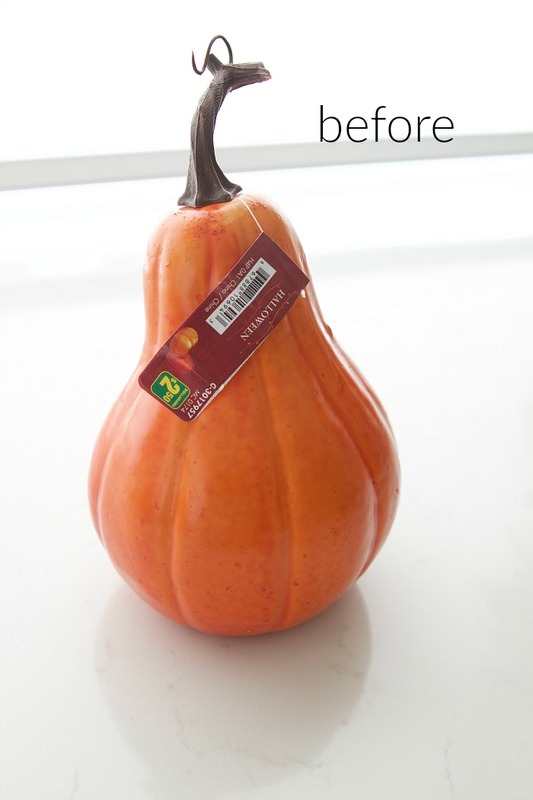 Here is a before shot of the dollar store pumpkin. I practiced a lot on these ones that looked more like gourds but stuck with the more round ones for the final product. 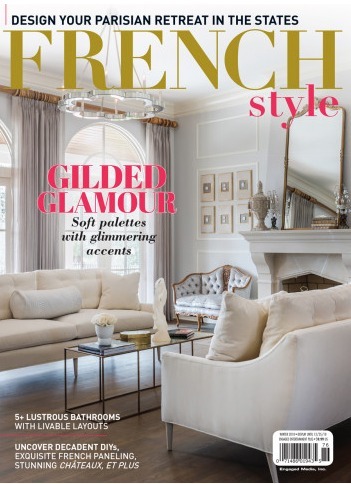 I used Fusion Mineral Paint as they have the dreamiest colors for this project. I also had a ton of little sample pots from various conferences I’ve been to so it was the perfect time to try them out. 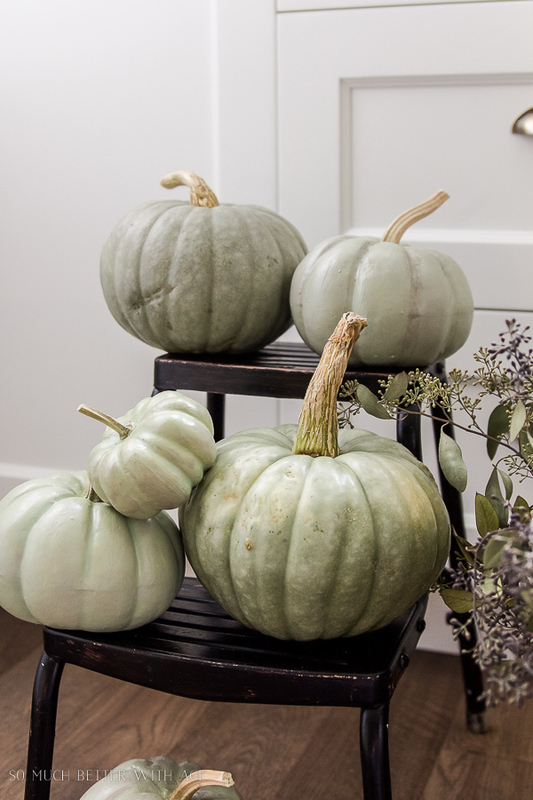 I practiced on mini pumpkins before testing them out on the big pumpkins but I still painted the big pumpkins many times over because they would dry so much differently. But I finally came up with the best color combinations. 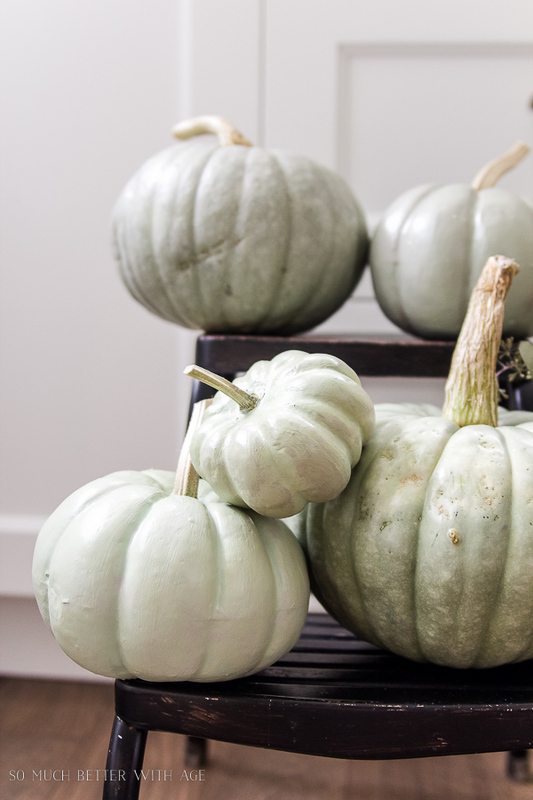 Take the tops off the plastic pumpkins with pliers. Using a finger, fill holes with drywall filler before painting (I took the stems off after but I wish I took them off before!). 2. 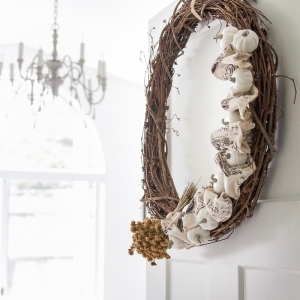 Paint a coat of primer or paint you have lying around for first coat. I used sample pots leftover from my house renovation. 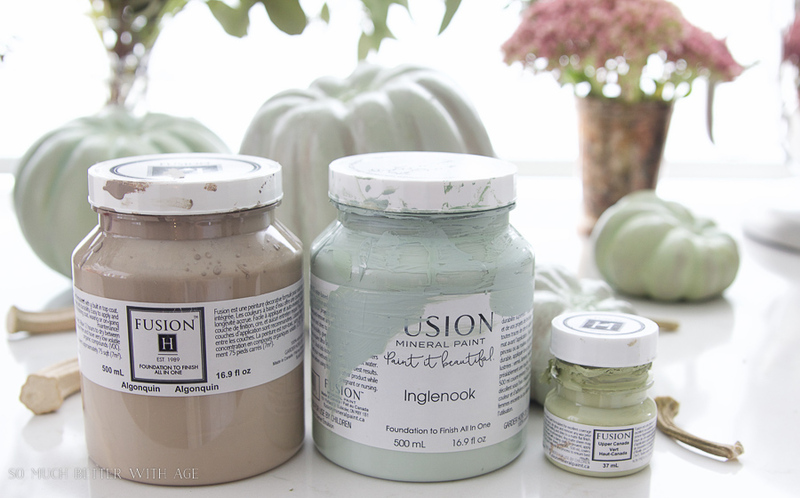 Mix equal parts Inglenook + Upper Canada together and paint on pumpkin. May need two coats. Let dry. 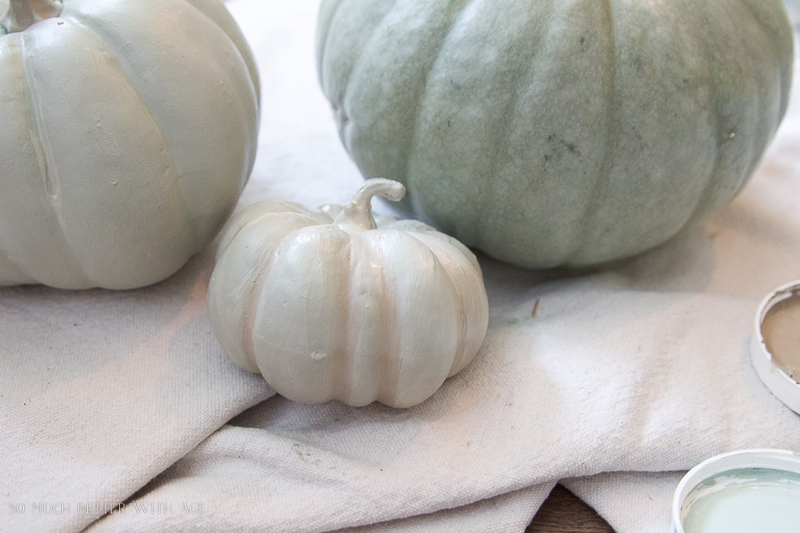 Many heirloom pumpkins have dots of lighter color on their surface. 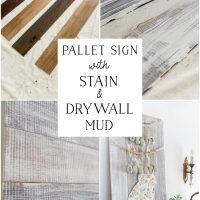 To achieve this effect, splatter Bedford over top and with a wet paper towel or wipe, dab the paint spots all over while wet. 3. 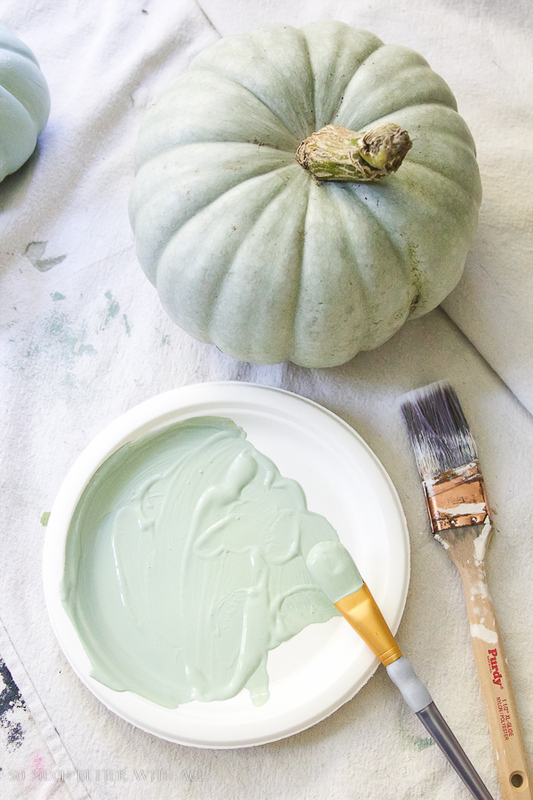 Once dry, spray entire pumpkin with a semi-gloss varathane. 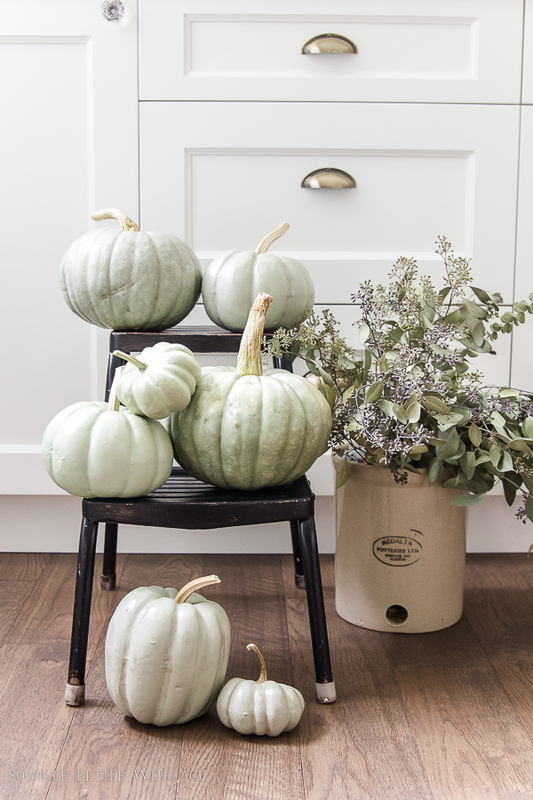 This step is optional as some pumpkins can give off a shine so if you’d like that effect, then you can spray them. If you’d like them to have a matte look, ignore this step. 4. Hot glue real pumpkin stems to plastic pumpkin. Pumpkin #2 are on the top step and on the floor and pumpkin #1 are on middle step. 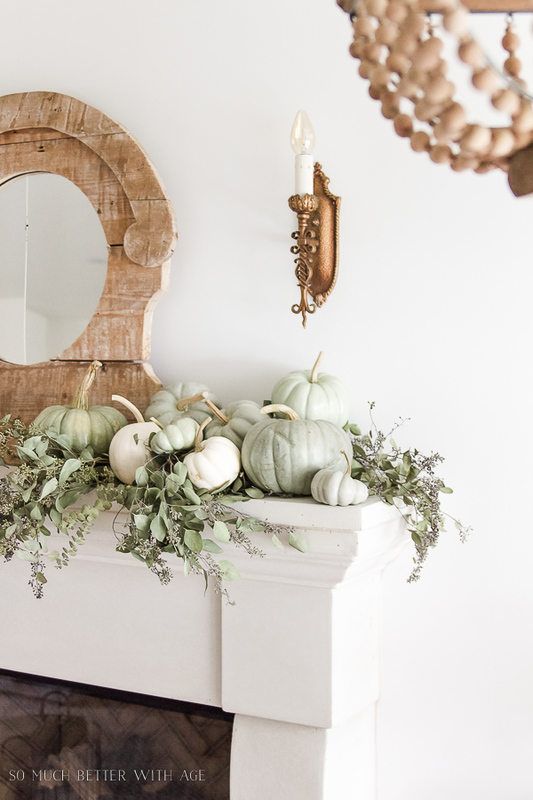 The two largest pumpkins are real heirloom pumpkins. 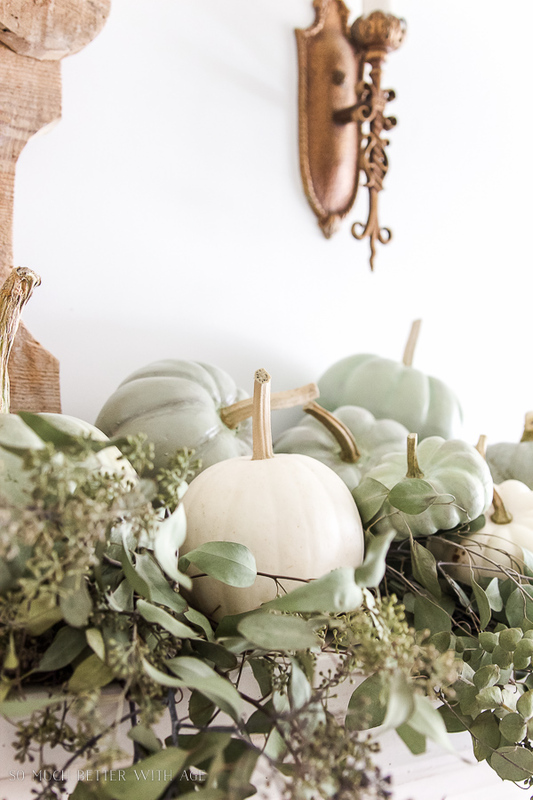 Adding real stems is the perfect touch to making them look real. Here are just the painted ones together. 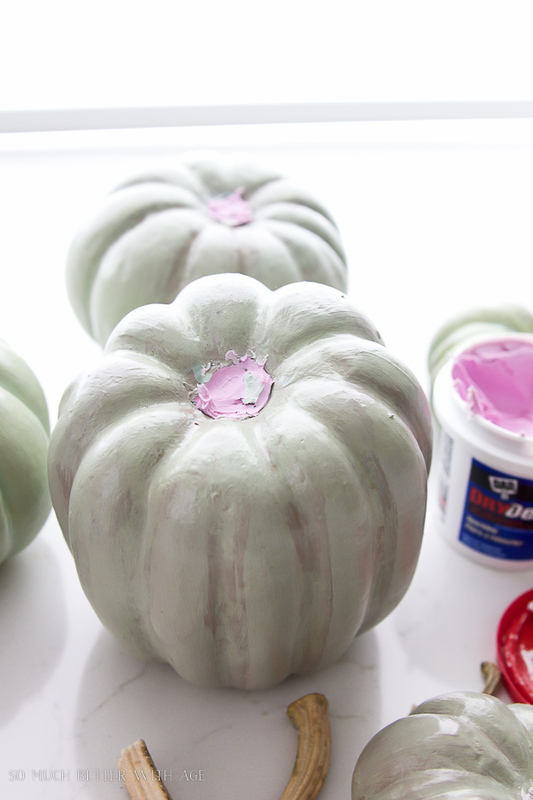 I hope you enjoyed this tutorial on how to paint your own heirloom pumpkins. 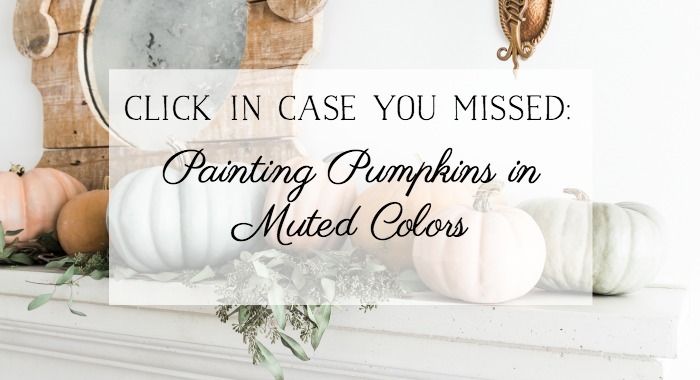 You can download a free PDF of my other pumpkin tutorial, Painting Pumpkins in Muted Colors, by subscribing to my newsletter below. Say, what?? You had me fooled! Such a good idea. 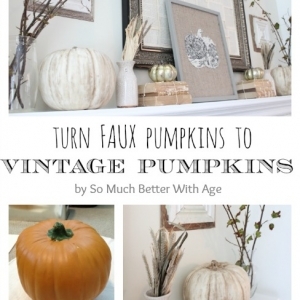 I look at those faux pumpkins and cannot bring myself to do it. Now you have me thinking. Brilliant! Thanks so much, Shauna. It’s great to pair them with the real thing to extend the budget. You did such a beautiful job with these! 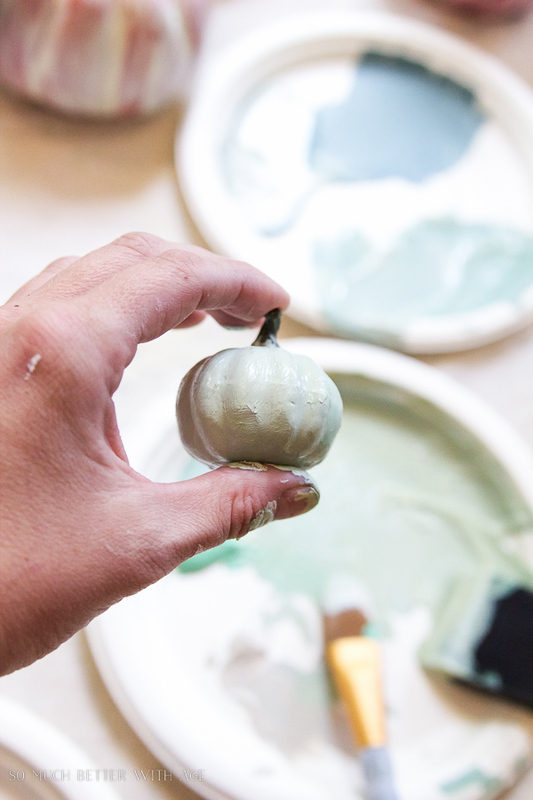 I’ve been playing around with painting some of my pumpkins this year, but you made yours something special! Pinning! Thanks so much, Linda! Def a labour of love, lol. These turned out great! Such a clever idea too. Well done! Oh my gosh, they look incredible! I can’t believe you mastered that so well!!! They look fantastic ! I think when you mix a couple of the real ones in it’s hard to tell if they are faux or not. Thanks for the tutorial. 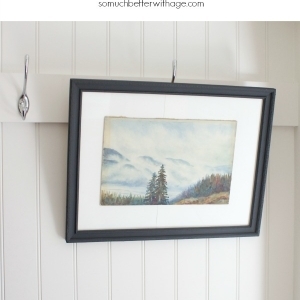 I have been exprimenting with different paints to come up with a pleasing neutral tone and this is just perfect. Thanks so much, Marijean! That’s the idea, mix the painted ones with real ones. This is great! 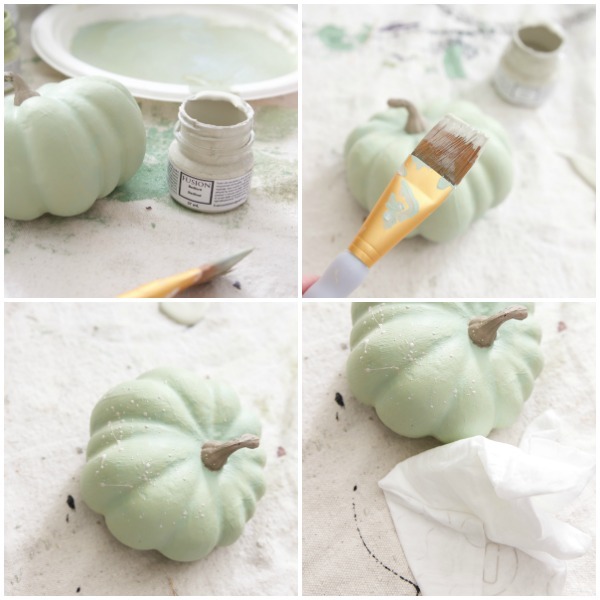 I love this tutorial, and the painted pumpkins look very nice. Pinned! 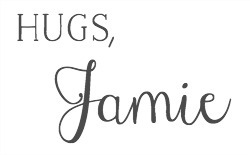 These are ahhhhh – mazing, Jamie! 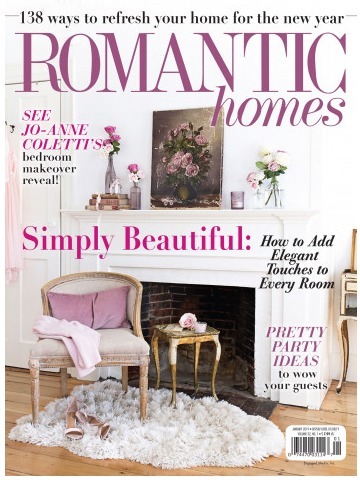 I’m sharing them tomorrow for my weekly roundup of “a few of my favorite things”! You’re so sweet, thank you so much, Doreen! Jaime- Thanks for this!! I LOVE it!! Thanks for asking! Not a problem. These came out so pretty! you can’t tell the real from the faux! Pinned & sharing! Thank you for sharing on Merry Monday! Hope to see ya next week! Oh boy do I love that specific green you created, so soft and pretty, very believable, you went to lot of trouble to get just the right color. Pretty sure I won’t go to that much trouble to get correct color but will look at acrylic paints or spray paint to find something close. 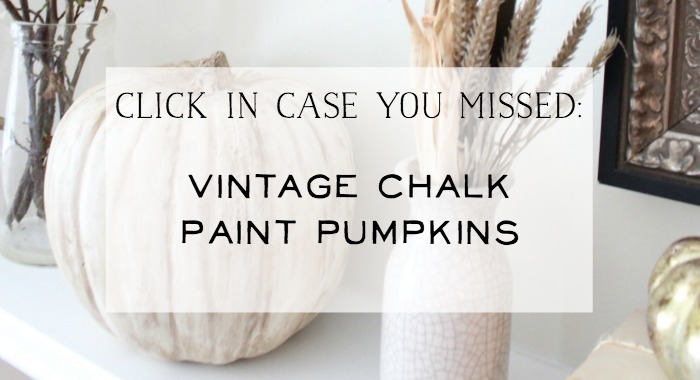 Will be painting a few $ store pumpkins for my interior decorations. Some in very light green and white. 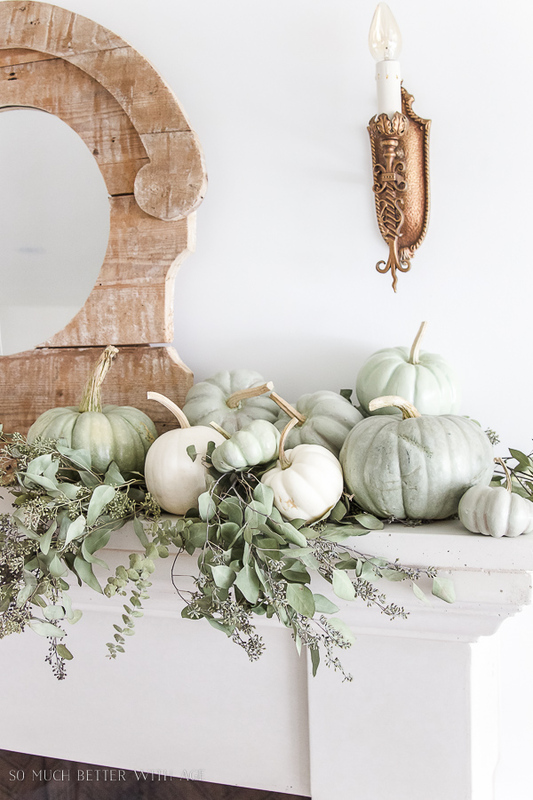 Love how you combined the seeded eucalyptus with your pumpkins, perfect touch. Where do you get seeded eucalyptus? I won’t be buying any real pumpkins so will have to make do with sticks covered with jute string. Is just two of us so exact isn’t needed. Thanks so much! You definitely don’t have to go through all the trouble I went through. The key is using a couple of similar colors to get great dimension. I always find seeded eucalyptus in either Whole Foods or a local florist shop near my home. Once you find a place that carries them, they’ll probably always carry it. Mine was $6 CDN a bunch. Good luck! 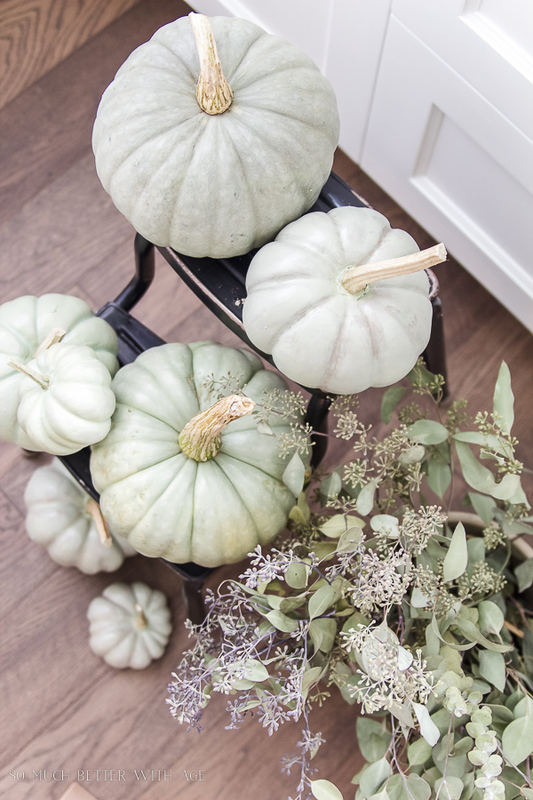 These pumpkins turned out gorgeous!! These are beautiful! I pinned them. Thanks for linking up to our party! So real looking! 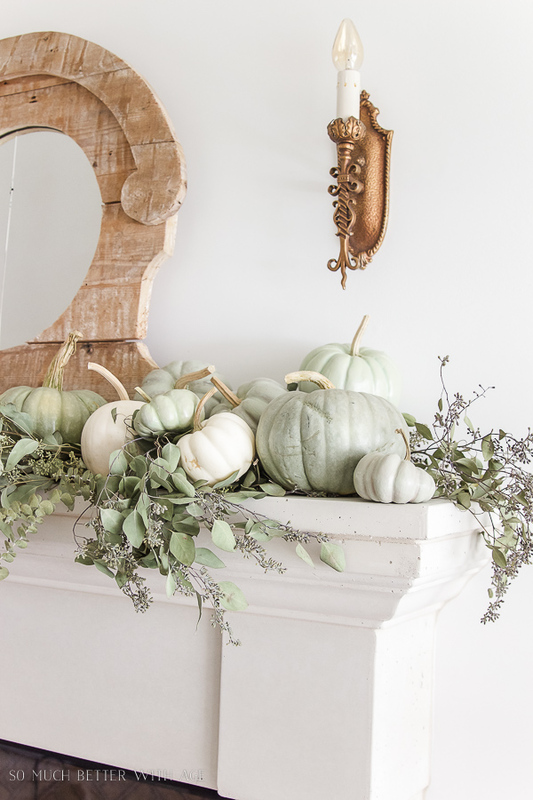 These are some of the best faux pumpkins I’ve seen! I’m pinning this for sure, and thank you! They look way better painted! 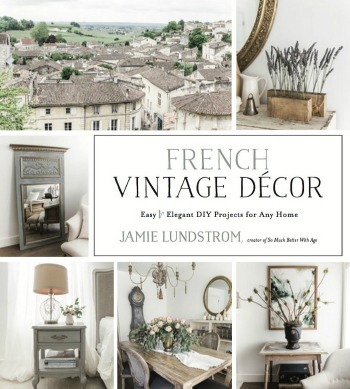 I will definitely be pinning this for next year (I’m done this year!). Great painting. 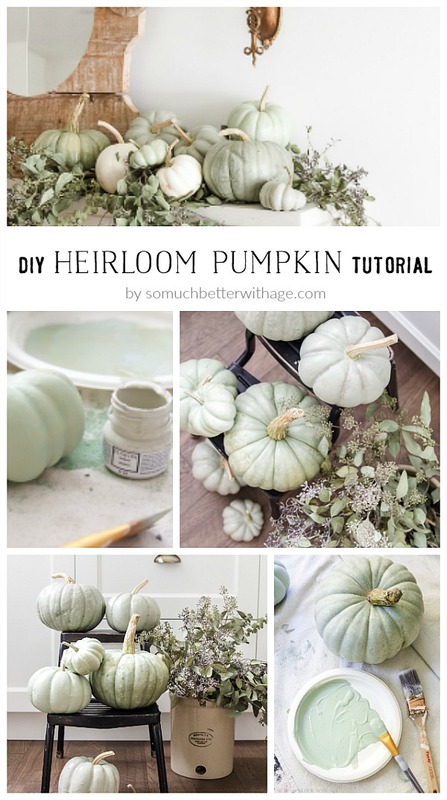 I love the green pumpkins and how you were able to mimic the heirlooms. I am following you on Pinterest and Instagram. I am always delighted to find Canadian bloggers. Thank you so much, Barbara! I’m so glad you’re here. Thanks so much, Barbara! It was fun to create. 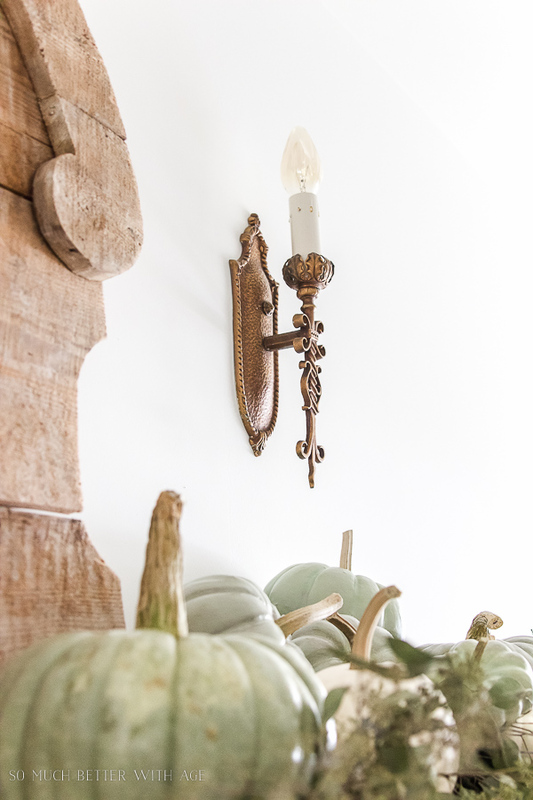 Thank so much for featuring my pumpkins, Jenny! 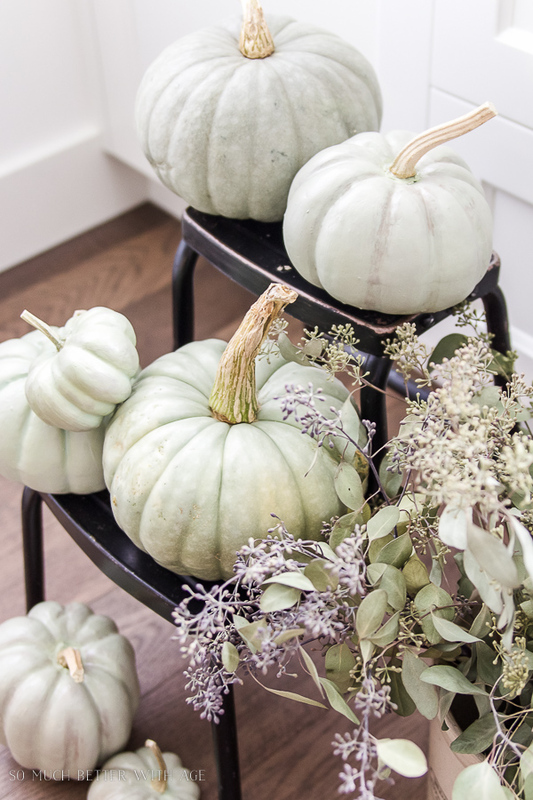 Wow, these pumpkins look amazing! Thank you for sharing your tutorial on MM. I’ll be featuring these on tonight’s party. Thank you so much, Erlene. I truly appreciate it! I’m impressed! Hard to tell the difference. Great job. Thanks for sharing. Those pumpkins are so pretty, and what a long process you had to achieve that perfect color(colors), thanks for sharing this tutorial. I am pinning and planning to try it, hope my results are as gorgeous as yours! Green with envy over this beautiful display! You did an amazing job of matching up the colors and how you painted your pumpkins! 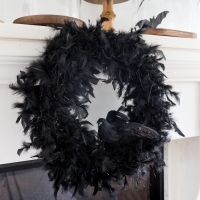 Thanks for sharing with Share Your Style! 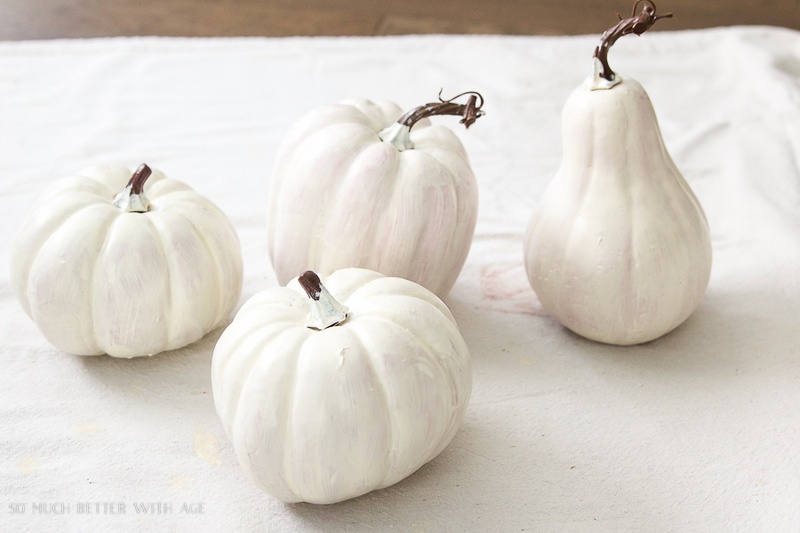 These are the most real-looking painted pumpkins I’ve ever seen! You hit it out of the park with these. 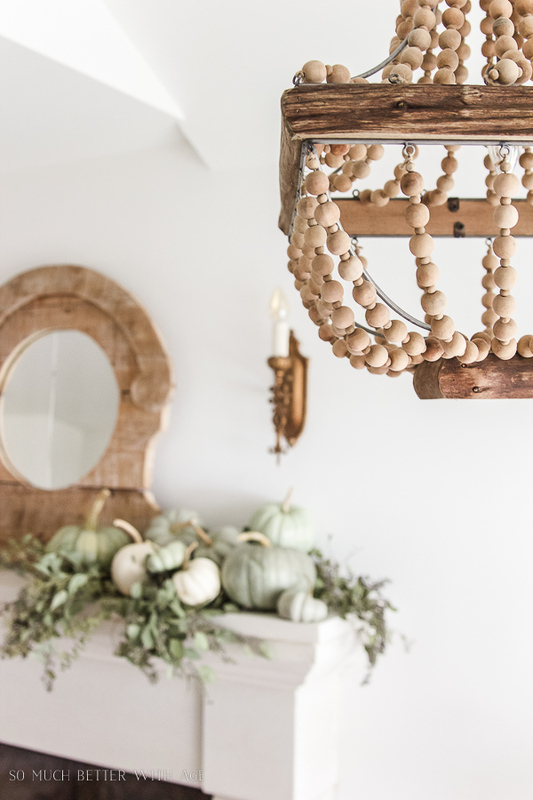 Thank you for sharing them at the Grace at Home party at Imparting Grace–I’m featuring you this week! Thanks so much, Richella. I truly appreciate the feature.